When does Marshmello’s Festivus Fortnite event start? Are you ready to get your groove on this weekend? A highly-anticipated event is set to take center stage this weekend in Fortnite: Battle Royale. 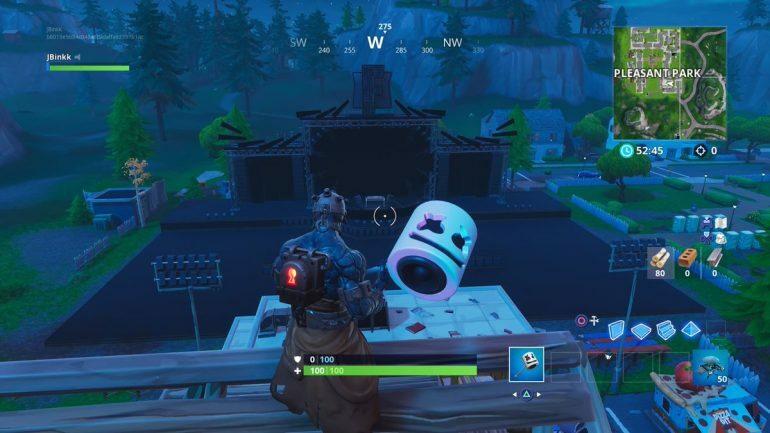 Over the last few days, Epic Games has been setting the stage for Marshmello’s event called Festivus. We don’t know exactly what will happen during this event, but we do know that it’s set to take place in Pleasant Park on Saturday, Feb. 2 at 1pm CT. Heading into this event, Epic has provided players with three Showtime challenges that award fans with Marshmello-themed items, like the sweet Marshy Smasher pickaxe. Epic also added a skin, glider, and emote based on the American electronic music producer and DJ to Fortnite’s Item Shop on Thursday night. If you’re interested in Marshmello’s Festivus event, make sure you head to the stage in Pleasant Park this Saturday at 1pm CT. To get ready for this event, check out everything we know about Festivus. Update Feb. 2 4:20pm CT: An encore performance of Marshmello’s concert will be held in Pleasant Park on Sunday, Feb. 3 at 1am CT.